We are out for good reasons. My friend wants to make memories. My sister is out on a day pass. I am up to no good and want to give these two a fright. My birthday is coming. This is my day of celebration. A day away before Halloween. Sometimes, I enjoy a good thrill in a fun way. First memory: Flyover Canada Halloween, a believable journey where we enter a dark room with witches and goblins decor, but Broomelda, the wicked witch of the West Coast flew away from us looking for other people who are much easier to be scared. We have no fear. As we moved to another room, this was the scary part. It was a movie theatre room equipped with a movable seat that lifts us up, down, sideways; spectacular special effect of sight, sound, wind, mist; as we flew over high in the clouds and suddenly dove over the waters, overlooking the autumn forest, the glacier, wild horse on the run, an almost collision course with six jets and much more. It was unbelievable. We witches screamed a lot being tricked to a believable experience. Second memory: I took them for a walk in the forbidden area of Vancouver, Gastown, that is known for lost souls still walking around here. 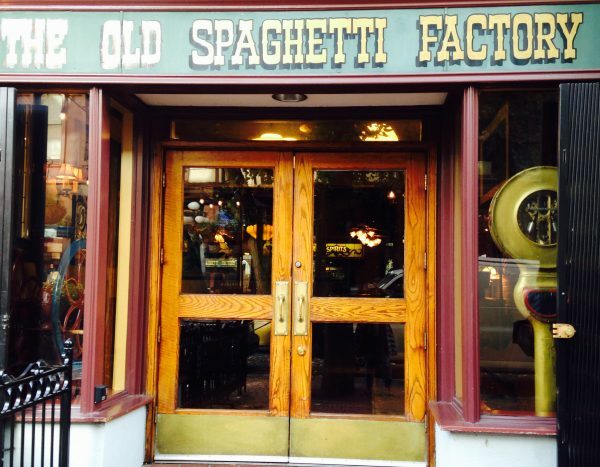 This restaurant, The Old Spaghetti Factory, lives four ghosts. I wouldn’t dare have a good meal at the factory. We quickly walked pass by it for we can feel their presences as we discussed our experiences with spirits. We all have six sense, we see dead people. My friend helped her sister to abort a rental agreement in a beautiful condominium. With her extrasensory perception inside the condo, she knows something gruesome had happened that the rental property is not telling them. Further investigation, they found someone was killed in the complex. My sister is a nurse. She may be in the business on keeping people alive, but humans have an expiration date. Her story is Room 22, a room that triggers a distress call when it’s unoccupied between the bewitching hour of 2 to 4 a.m. My sister with sound mind won’t go alone to Room 22 to turn off the monitor, she wants another nurse to accompany her. There is safety in numbers. As for me, I lived in a house with three spirits. All is good. I exorcised them. 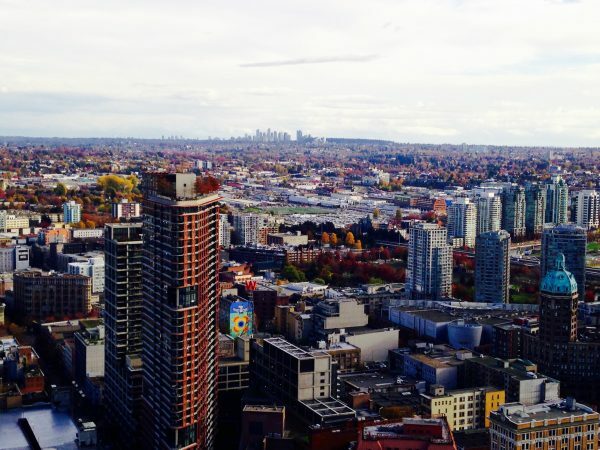 Third memory: We explored the 360 views of Vancouver at the Harbour Centre. I could see the highrises of where I live on the horizon. This is one scary future of demoviction, displacements, and density. Frightening because soon I will be affected. We had so much fun and laughter. As day walkers, we have to return to reality before darkness falls on us. My friend has to take care of her sick husband so does my sister. Me, I have to take care of my own illness and Lucy, my cat. It was a good mental health day off for all of us. 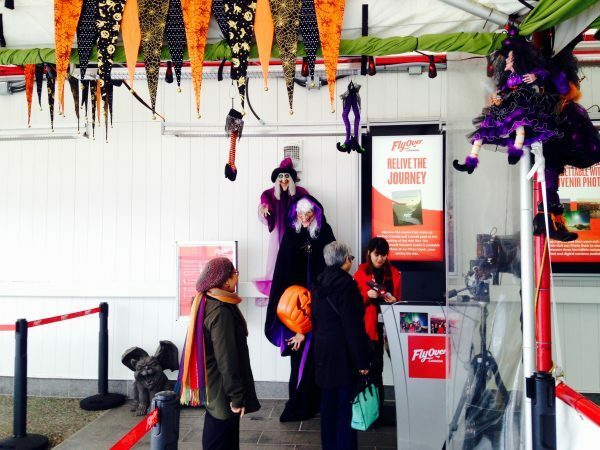 This entry was posted in Life and tagged Birthday, Flyover Canada, Ghosts, Good Witches, Halloween, Lens-Artists, Memories, Mental health, Spirits, Vancouver by Perpetua. Bookmark the permalink. i hope you don’t have to relocate with that new development. If this happens, there will 99 others affected. I’ll wait, see and hope for the best. Thanks for all of the “first” memories.